It’s sweet, creamy, and delicious, but is peanut butter healthy? Let’s explore whether this pantry staple should be a regular part of your balanced diet. About half of a peanut's weight comes from fat, while the rest comes from protein and carbs. Many of us can recall the excitement of opening our lunch box at school and discovering that Mom packed our favorite sandwich—peanut butter and jelly. That classic combination of creamy, sweet, and sometimes crunchy flavor is an American childhood favorite. And even if you’re no longer eating PB&J sandwiches for lunch almost every day, you may still enjoy peanut butter spread on celery sticks or apple slices from time to time. But is peanut butter healthy? Peanut butter is known for being high in protein, fiber, heart-healthy fats, and essential vitamins, making it an optimal choice for a well-balanced diet. According to the USDA, two tablespoons of smooth peanut butter contains 188 calories, 15 grams of fat, 7 grams of protein, and 1.8 grams of fiber. To make sure peanut butter doesn’t sabotage your health, consider these six tips the next time you go grocery shopping. #1. Read the labels carefully. Not all peanut butters are created alike. Many brands contain unhealthy amounts of added sugar and salt that can make it unsuitable for diabetics and those with high blood pressure. Even some varieties labeled as “organic” or “natural” can still contain added sugar and salt, so read labels carefully. Also, beware of any brands containing preservatives and/or stabilizers. #3. Pair up your peanut butter with the right companions. If you like your peanut butter spread on saltine crackers, baked in cookies, or in a sandwich with jelly or bacon, consider swapping out those high-carb, low-nutrition items for healthier items like celery, carrots, multigrain crackers, apples, and bananas. These combos will help you to stay satiated for longer periods of time, and you’ll consume less fat and added sugar. Make things even more interesting by mixing a tablespoon of peanut butter into your morning smoothie or adding some to your stir fry sauce at dinner for a Thai twist. #4. Alternate peanut butter with other nut butters. Almond butter generally contains more unsaturated fat and less saturated fat than peanut butter, plus it contains significantly more fiber, vitamin E, iron, and calcium than peanut butter. Again, read labels carefully to identify any added sugar, salt and oils. #5. Make your own peanut butter. Possibly the best way to control the ingredients sometimes found in commercial peanut butters is to avoid them altogether—and make your own peanut butter. If you have a food processor and 15 minutes to spare, you can whip up your own batch and adjust it to your taste and preferred consistency with just a touch of salt, honey, and/or oil. Learn the steps for making your own peanut butter here. #6. Beware of a possible nut allergy. While most peanut allergies start during childhood, they can develop at any time in life. Therefore, if you experience itching, hives, trouble breathing, stomach pain, or nausea shortly after eating peanut butter, avoid peanuts altogether until you can visit your doctor. If you truly have a peanut allergy, there are alternative butters you can try that are made from tree nuts (but only if you haven’t tested positive for a tree nut allergy); examples: spreads made from almonds, walnuts, or hazelnuts. Individuals with a peanut allergy can also try sunflower seed butter, cashew butter, or soy butter. Are Nuts Good for You… or an Unhealthy Indulgence? Is Peanut Butter Healthy Even Though It Contains Saturated Fat? 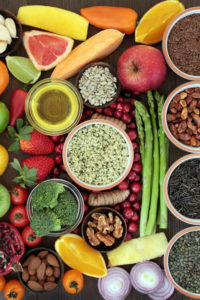 Courtesy of Weill Cornell Medicine’s Women’s Nutrition Connection. PEANUT BUTTER, NATURAL PEANUT BUTTER, PEANUT BUTTER SPREAD…WHAT’S THE DIFFERENCE? Is there a significant difference between peanut butter, natural peanut butter, and peanut butter spread? And which one is healthier? Well first, let’s look at how the FDA classifies peanut butter. So, which one should you choose? That depends. According to the National Peanut Board, regular peanut butter (per the USDA Nutrient Database) contains one more gram of saturated fat and two more grams of sugar than the top-selling brand of natural butter. The same brand of natural peanut butter also contains one more gram of protein than regular peanut butter. It’s always important, however, the read the labels carefully because there are plenty of varieties and hybrids (such as natural peanut butter spread) to choose from. 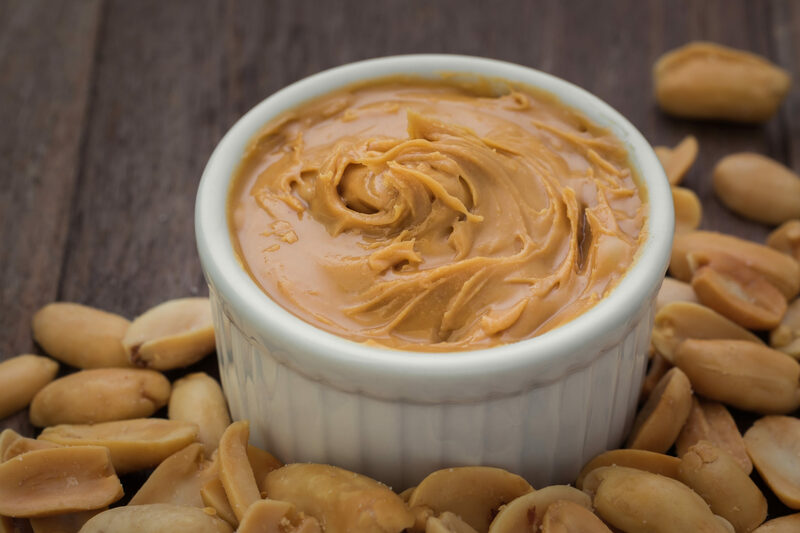 If you’re strict about your saturated fat intake, you might be better off with the natural peanut butter, but if it merely comes down to preference, just know that you’ll still be getting a significant amount of nutrition from your favorite peanut butter. allergies, allergy, almonds, are almonds good for you, are nuts good for you, are nuts good for you or an unhealthy indulgence, balanced diet, blood pressure, calcium, calories, carrots, diabetics, diet, exercise, exercise routine, fiber, food, health, healthy diet, healthy fats, heart healthy, high blood pressure, hives, honey, iron, nut allergy, nutrients, nutrition, nuts, organic, overeating, pain, plant based protein, portion control, preservatives, protein, smoothie, soy, stomach pain, sugar, tree nut allergy, trouble breathing, vegetables, vitamin, vitamin e, vitamins, vitamins and minerals, walnuts, When can babies eat peanut butter, women s nutrition connection. interesting article, BUT, a list of the good peanut butters is missing. I agree— print a list of acceptable peanut butters please! A list has been added, thanks for reading! How come there’s no mention that peanut butter is high in Omega 6 oil, too much of which is definitely not good for you? I thought you might be interested in this article on https://universityhealthnews.com: Is Peanut Butter Healthy?